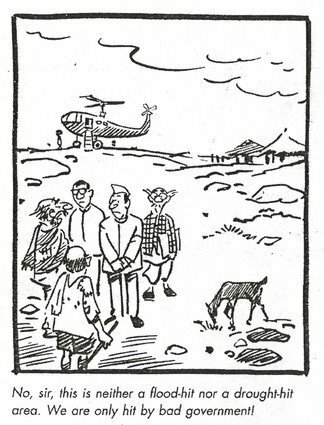 If you read the Times of India anywhere from the 1950’s onwards, you couldn’t have missed the little comic strip “You said it” featuring the common man by RK Laxman. This caricature could be found in the daily comic strip, peeping down manholes, observing speeches, fights and games. He is usually a silent witness to all the action around him but ah… so memorable. 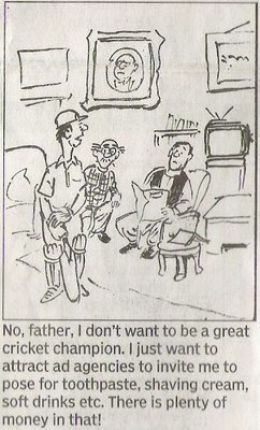 So for all of you who feel the same nostalgia, here are some timeless strips. Enjoy! The common man celebrated 50 years sometime ago -he has been featured on a commemorative stamp as well as honored by way of a 10 foot bronze statue at the Symbiosis Institute (Pune).